DISTRICT OF COLUMBIA—We count on children to build our future yet, in the District of Columbia, more than 1 out of every 4 children under 5 (27 percent) live in “hard-to-count” neighborhoods where there is a high chance they will not be represented in the upcoming 2020 census. If the census does not accurately count DC children, the District could lose millions of dollars in federal supports. 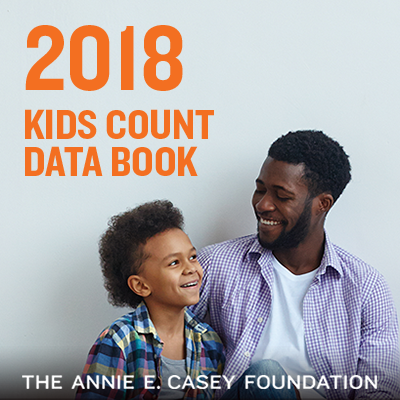 Today the Annie E. Casey Foundation released the 2018 KIDS COUNT® Data Book, its annual look at child well-being in the United States. The stakes are high for DC children: because census data dictate how federal programs allocate funding, an undercount of young children threatens DC children’s healthy development and well-being today and over the next decade by limiting vital resources and access to critical supports. In fiscal year 2015 alone, the District relied on more than $612.8 million in federal dollars to fund critical programs that support child well-being. 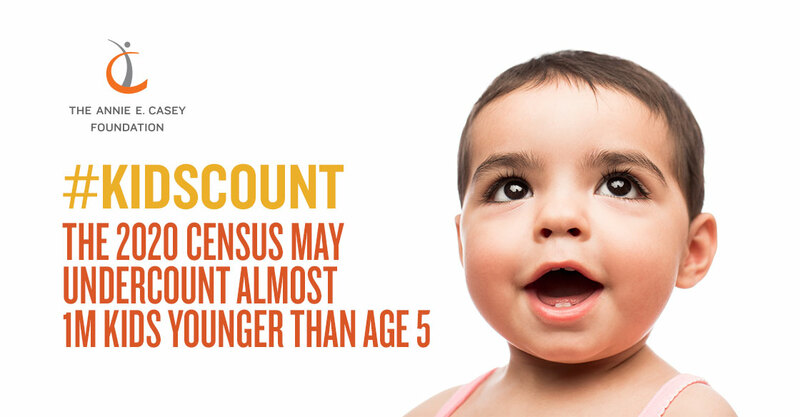 Inaccurate census counts undermine the capacity of programs that bolster children’s healthy development, such as Medicaid and Head Start/Early Head Start. The Data Book draws from numerous sources to focus on key trends in the post-recession years. It measures child well-being in four domains: economic security, education, health, and family and community. The percentage of DC children living in poverty decreased by 13 percent between 2010 and 2016. After spiking to 50,000 in 2015, the number of DC children living in families where no parent had full-time, year-round employment dropped by 18 percent between 2010 and 2016. Between 2010 and 2016, the teen birth rate in the District dropped 47 percent. 27 percent of DC children live in high-poverty areas. Second only to Puerto Rico, this is the highest rate in the country. 10.1 percent of babies born in DC are born at low-birth weights, the fifth-highest percentage in the nation. 71 percent of DC fourth-graders scored below proficient reading level, and 79 percent of eighth-graders in DC lacked proficiency in math, far below the national average for these indicators. ● Maximize the Census Bureau’s capacity: Federal legislators need to fully fund the census outreach effort, and the administration needs to appoint a qualified and permanent director to lead the agency to provide support for a more accurate census than in 2010. ● Fund state and local outreach: State and local governments and community organizations need to invest in educational outreach around the census to ensure that the most vulnerable communities are counted. ● Expand the pool of trusted messengers: Broaden the circle of people (from child care providers to members of the clergy) and organizations (from public schools to libraries) who can provide outreach in their communities to reach hard-to-count households and encourage participation among people most likely to be missed. ● Address the digital divide: Provide online access for all families to participate in the census, either in local libraries or schools. ● Address privacy and confidentiality concerns: Given the growing distrust and fear of online data breaches, it is critical that government officials ensure the protection of respondents’ data.